Apple recently sent out invites for their media event announcing the next iPad in San Francisco on March 7 2012. People have started their usual over-analysis of the invite photo before the event. As usual, all of the app icons in the photo itself have their own meaning. I mean, I don't mean to over-analyze things. 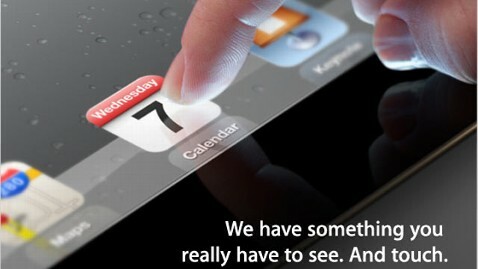 But clearly, the calendar icon being touched says "Wednesday 7", which is the date of the event. There is a Maps icon because it is an invitation to a physical location. There is also a Keynote icon for obvious reasons. The media event takes place at Yerba Buena Center for the Arts in San Francisco at 10 am, the usual time for Apple events. I hope someone will stream the event live.